Sponsored by M.S. Jacobs & Associates, a manufacturer’s representative and distributor of industrial instrumentation, control valves & process controls. Located in Pittsburgh, Pa. and covering Western Pennsylvania, West Virginia, and New York. Representing top lines in pressure, temperature, level, flow, analytical instruments and industrial valves. The control of pressure in a line, tank or other vessel is a common operation found in the process control field. Many pressure regulators are fully mechanical, with counterforce mechanisms used to set an equilibrium point for the regulator. While these devices are effective, they lack the level of functionality available in an electronically controlled device. 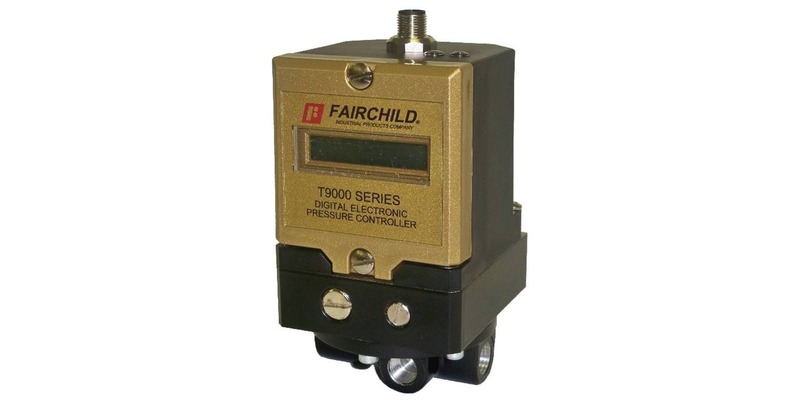 Rotork Instruments, as part of their Fairchild brand, offers a series of electro-pneumatic pressure controllers that have built in PID closed loop microprocessor control utilizing a remote analog or digital setpoint signal. The electronic controller regulates feed and bleed solenoid valves to control pressure in the signal chamber of the booster section. Outlet pressure is measured and used as a feedback signal to the controller to provide accurate control of the outlet pressure. The device functions as a volume booster and I/P transducer. Any of the devices can be controlled from the onboard keypad or a remote signal. A remote pressure sensor line can also be used with the controller to derive the feedback signal from further downstream from the instrument. This is helpful in eliminating pressure drop effects over the distance from the controller to an identified process point. The remote sensing also can improve system response. Adding the remote sensing is simple, just remove the factory installed plug and install an adapter that facilitates a line connection. The various models are available with volume booster sections rated for 1 to 700 SCFM. More detail is found in the specification sheet provided below. Share your pressure control challenges with process measurement and control specialists. Leverage your own knowledge and experience into an effective solution with their product application expertise. when strainer basket requires cleaning. Liquid processing systems of many types and application require protection from particulate matter in the flow path. Often, there are mechanical components that cannot tolerate particulate matter greater than some maximum diameter. Pumps, valves, sensors, and other specialties can experience accelerated wear and tear, even clogging, from particulate matter entrained within the liquid flow. Once the maximum particulate diameter has been determined for various portions of the system, a plan can be implemented that provides a properly sized and configured device in place to remove particulates larger than the greatest allowable size. It is conceivable that identifiable parts of a system will have differeing protection requirements, resulting in the use of several or many different filtration elements throughout the system. Filtration units can range from very small inline filter units protecting a single instrument, to large centralized high flow rate units protecting extended portions of the system. A basket strainer will be an appropriate choice for many applications. 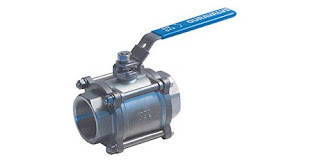 Coordination of strainer housing connection size and type, along with design flow rate and pressure drop are in order. The materials of construction for the housing, strainer basket and other wetted parts should be evaluated for suitability with the process media. A final consideration is the holding capacity of the strainer basket itself. Too small a strainer will lead to a service frequency for cleaning that can prove cumbersome for operating personnel. Regardless of the type of strainer or filter used, a key consideration is whether the system can be temporarily shut down, or the filter bypassed, while replacement or cleaning of the filtration element is accomplished. A basket strainer, one of several types of liquid filtration devices, is available in both simplex and duplex variants. A simplex basket strainer functions as a single inline unit, requiring flow stoppage or bypass when the basket becomes clogged with debris. The changeover time may not be long, but some processes cannot tolerate any downtime. A duplex strainer is comprised of two simplex strainers incorporated into a common housing. An inlet chamber and diverting valve selects which strainer basket will process the liquid flow, while isolating the other. Changes in pressure drop through the device can be used to signal when it is time to switch operation between the strainer sections. Fluid filtration is an important part of keeping a process in operation, reducing wear and tear on piping system components and equipment. Share your process fluid filtration challenges and requirements of all types with application specialists. Leverage your own process knowledge and experience with their product application expertise to develop an effective solution. 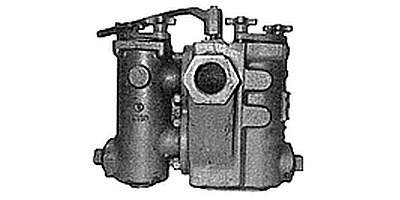 Image courtesy of Duravalve, Inc.
Ball valves are characterized by their closure mechanism. Most often, a ball valve has a spherically shaped fabrication (ball) that is inserted in the fluid flow path. The ball has an opening through its center, often circular in cross section and matching the diameter and shape of the connected pipe. The ball is contained within the body of the valve and rotated around its central axis by torque applied to the stem. The stem, which extends through a seal to the exterior of the valve body, can be manually or automatically controlled via several methods. During valve operation, the ball is rotated through a ninety degree arc from a fully closed to fully open position. When fully closed, the opening in the ball faces the sidewalls of the valve body and is cut off from the fluid by seals that secure the ball in place and prevent fluid flow around the ball. As the valve stem is rotated toward the open position, the cross sectional area of the opening is increasingly exposed to the fluid flow path until the open area through the ball is aligned with the flow path in the fully open position. Here are some general installation and removal guidelines for ball valves. Verify whether the valve is unidirectional or bidirectional. If valve function is limited to a single direction, make sure the inlet and outlet ports are properly oriented to the piping system flow direction. Adequate access for handle movement, along with an operator's hand, should be confirmed prior to installing the valve. Ball valves will function in any orientation. If automated with an actuator, maintain sufficient clearance around the valve and actuator to provide adequate maintenance access. Keep the installation area free of debris and dirt. Protect any valve parts that are removed or are awaiting installation. Avoid introducing any foreign matter, dirt or debris into the valve. Valves may have any of a number of connection methods, including threaded, flanged, or socket weld. Disassembly of the valve may be appropriate when installing some types, especially socket weld. Care should be taken to avoid any damage to the ball surface, seals, or sealing surfaces. Scratches and nicks can produce leakage when the valve is reassembled. If disassembling a currently installed valve, verify that the piping system is not under pressure prior to starting. Cycle the valve through open and closed positions a couple times to relieve any pressure that may be retained in the valve body. Follow all manufacturer recommendations for applied torque on any fasteners. When a ball valve is disassembled, for any reason, it may be a good time to replace seats. Leak check final installation. Tighten packing gland nut to eliminate leaks at the stem. These are general recommendations. In every instance, a review of the valve manufacturer's specific instructions prior to starting installation or service is good practice. Share your fluid control challenges with industrial valve specialists. Leverage your own knowledge and experience with their product application expertise to develop effective solutions. functionality in a very compact package. Signal conditioning is a common function needed for proper operation of data acquisition or process control systems. The general purpose of signal conditioning is to convert an input signal of one type to an output signal of another, completing a usable path of information from signal generating device to signal using device. With many control and data acquisition systems employing numerous input signals from diverse sources and instruments, a control panel benefits from having a consolidated, adaptable means of performing all the required signal conditioning while occupying a minimized footprint in the panel. The microBlox™ line of signal conditioners, from Acromag, provides a broad range of signal conditioning functionality in a compact and rugged industrial package. The microBlox™ line of signal conditioners provides a wide array of useful features, broad range of I/O signal compatibility, and a very compact high density footprint. The input modules offer screwless mounting in a choice of backplanes accommodating up to 16 channels. Functions included transmitter, alarm, and signal conditioner. 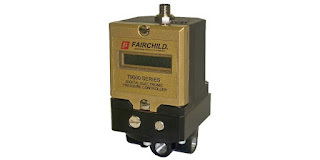 The variety of available models, some with economical precalibrated ranges, is extensive. The module construction, with its overmolded circuitry, provides resistance to dust, moisture, vibration and shock. 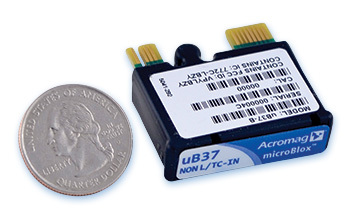 The most valued capability of microBlox™ input modules is their Bluetooth connectivity. Mobile devices running either the Android or Apple versions of the Agility app can communicate with enabled modules to perform setup and configuration, diagnostic and troubleshooting functions. Input polling and trending is also possible using the app. More technical data, illustration and description of the microBlox™ signal conditioners is included below. Share your signal conditioning and I/O challenges with a a product specialist. Leverage your own process knowledge and experience with their product application expertise to develop effective solutions.